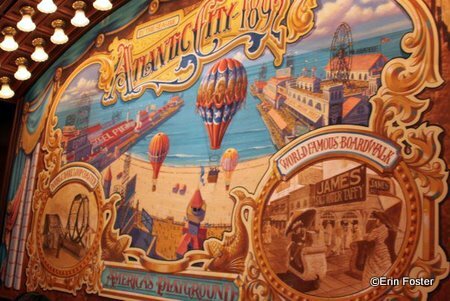 I am delighted to bring you this guest review from veteran Disney World Moms Panelist Erin Foster of a recent visit to the Boardwalk Candy Palace on Main Street in Disneyland Resort Paris. Take it away, Erin! 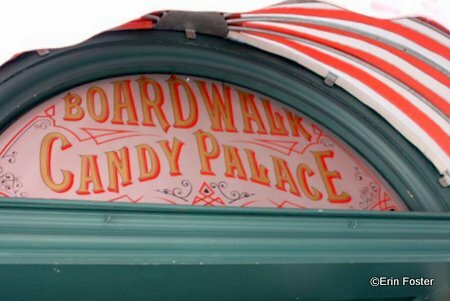 Just like on Main Street in Walt Disney World’s Magic Kingdom, there is a candy shop prominently located on the right side of Main Street at Disneyland Paris: the Boardwalk Candy Palace. 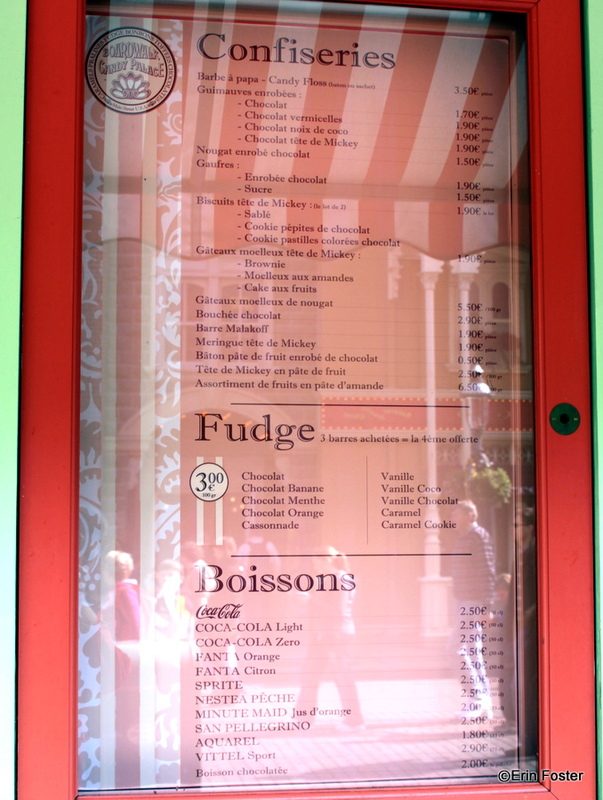 Right at the front of the store is a glass display case with freshly made treats: sugared waffles, Mickey-shaped cookies, chocolate-covered marshmallows on a stick, and (drumroll please) FUDGE (Editor’s Note: Check out the primer Erin wrote about Disney Fudge!). 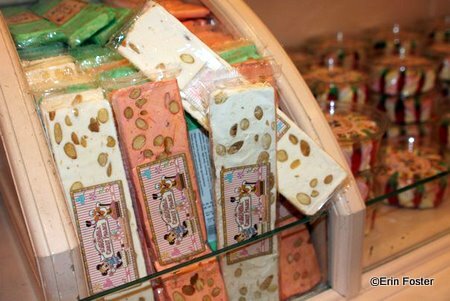 Really, my girls and I did a silly little dance of joy upon encountering our beloved Disney fudge in FRANCE. 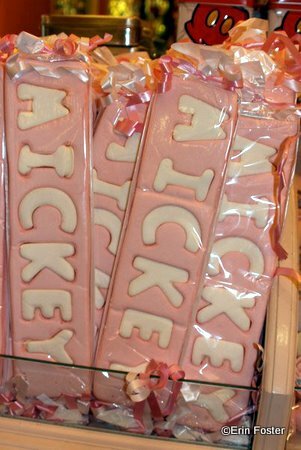 The pieces were long and rectangular, shaped like a stick of East-coast American butter, rather than the squarer pieces at WDW, but otherwise they had the same appearance as home. 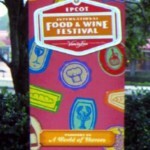 The flavor selection was similar to the basics at WDW: vanilla, chocolate, swirl, caramel, etc. 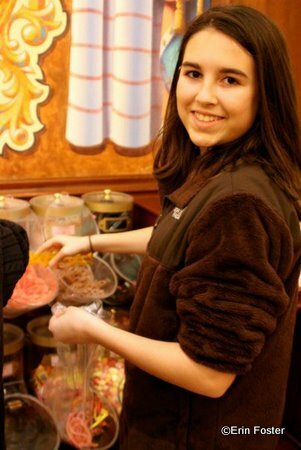 We immediately purchased a piece of vanilla/chocolate swirl. 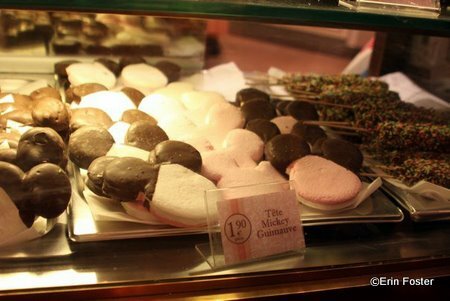 I’m sorry to say this was perhaps my only real food disappointment in all of France. The texture was entirely wrong; it was too grainy and crumbly, almost as if it was cooked to long and allowed to become a bit stale. 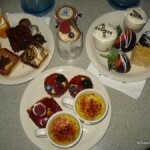 I guess I’ll just have to compensate by buying an extra piece next time at Walt Disney World. 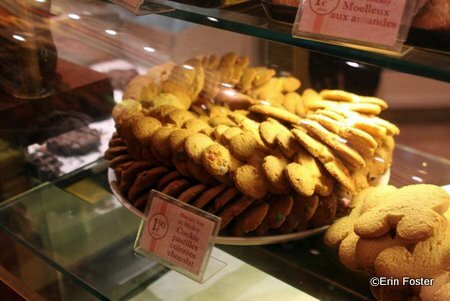 The main part of the store is dominated by shelves and revolving carousels of packaged treats. 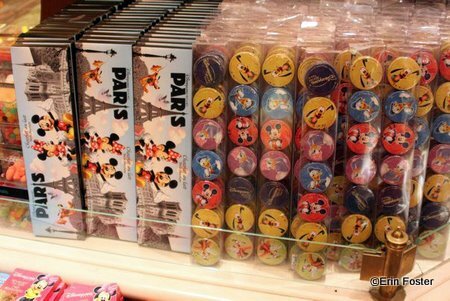 I’m sure the intent is that these make great gifts or souvenirs to bring home. 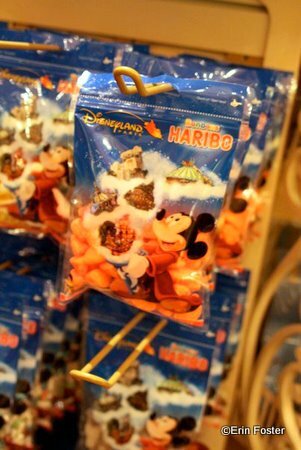 I bought a tin of hard candies with the Disneyland Paris logo for just that reason. 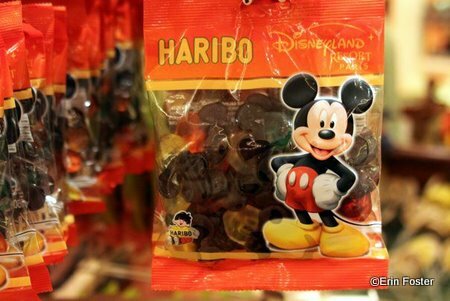 Most of the bagged candy was Haribo brand, marked with Disney characters and logos. 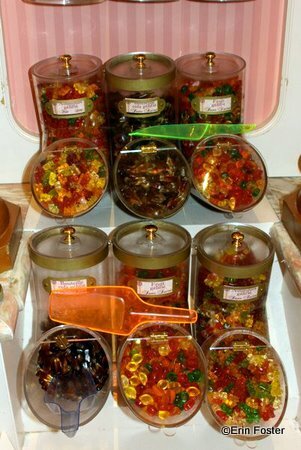 I was most familiar with the Haribo gummi bears that are readily available in the US, but there were many other gummi variations available. 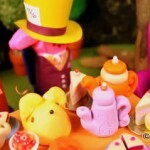 Another product category was marshmallows. 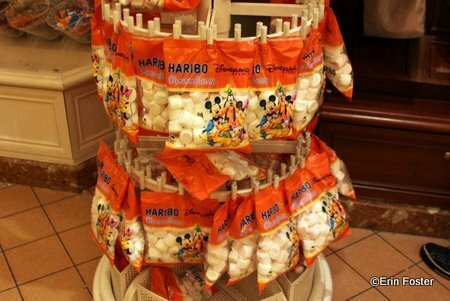 Here, as well as in nearly every gift shop on property, there was a large display of Haribo Chamallows, like Kraft-esque marshmallows ready for snacking. 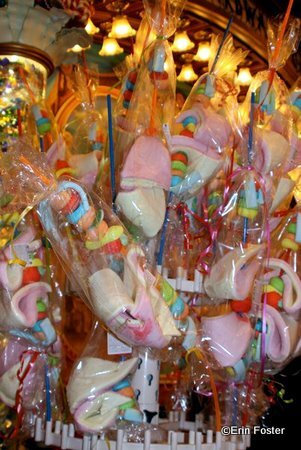 There were also large bar-shaped marshmallows and crazy Wonka-ish marshmallow kebabs longer than my arm. 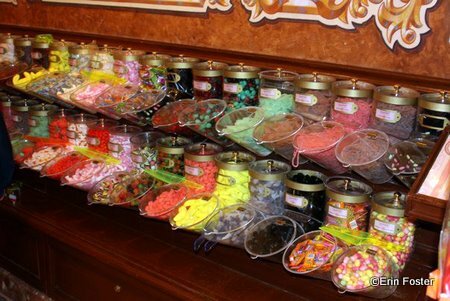 The entire back wall of the store was filled with loose candy for guests to create their own mix. 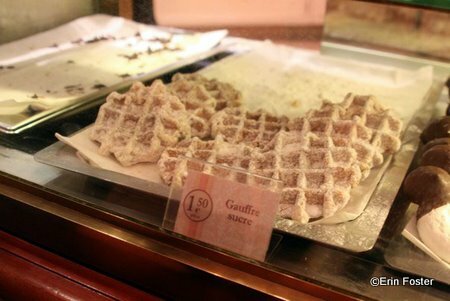 The choices were primarily different shapes and flavors of gummis and marshmallows. 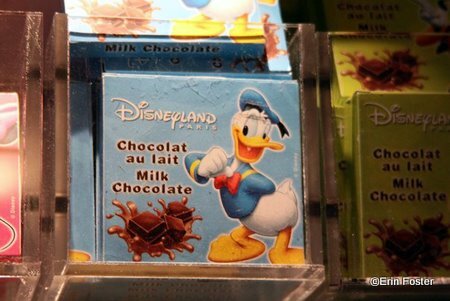 There was very little chocolate in the selection. 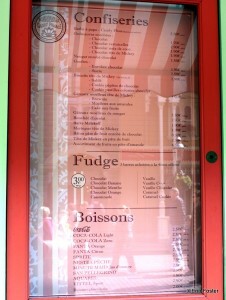 Overall, there was a nice selection of gifts and eat-right-now diversions, but they have to work on that fudge thing. Thanks, Erin! 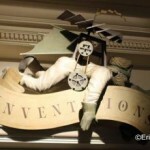 To hear more about Erin’s trip to Disneyland Resort Paris, check out her Inventions Restaurant Buffet and Character Meal guest blog, and stay tuned for another Disneyland Resort Paris guest blog coming soon! 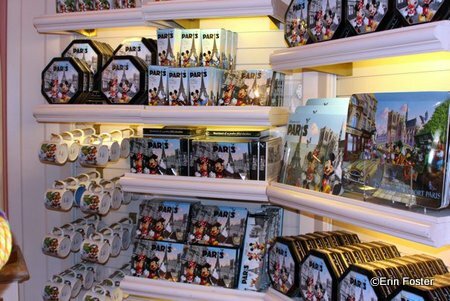 You can also head over to Zannaland for Erin’s Disneyland Resort Paris trip report. 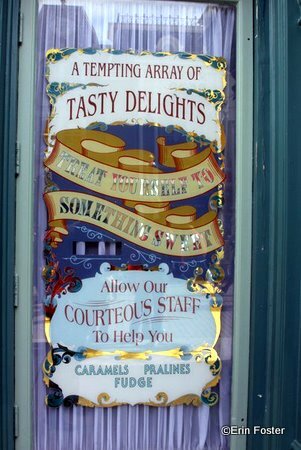 To read more about Disney’s Candy Shops, check out a recent “mirror image” post I did with Main Street Gazette! 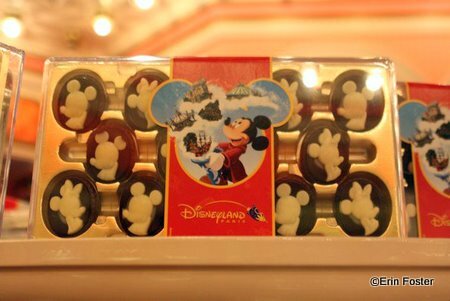 You can see my Disneyland Candy Palace post here, and Main Street Gazette’s Disney World Confectionery post here! I kind of want to eat my laptop screen. 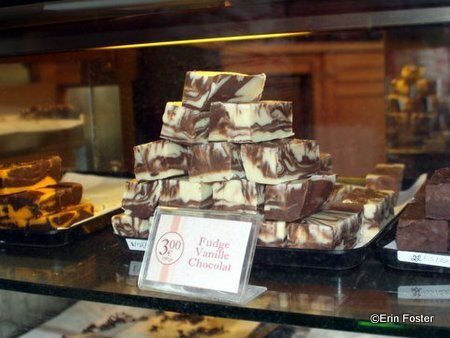 Funny you should say that about the fudge at Boardwalk Candy Palace, we tried it this week and thought it was phenomenal! 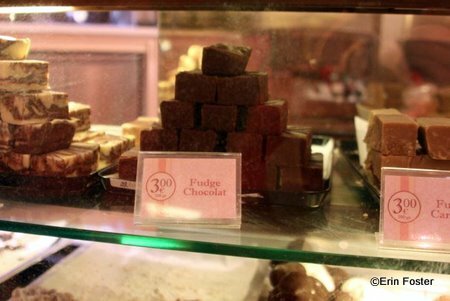 Although being from the UK, crumbly fudge is proper fudge to us, so perhaps it’s just a Europe/US difference in preference? I also got myself a giant stick of candy floss, just your standard candy floss but it tastes so much better on a stick rather than in a bag.